You can reserve up to seven cinema seats, with or without a table in the Cafe Bar. Please ensure you have both your mobile number and email address to hand when making an online booking. If you require wheelchair access please call us on 01283 716257. Our booking lines are open Monday to Sunday from 9:00am to 9:30am and then again from 5:00pm to 5:30pm. The seats in row S are two seater 'snoozles'. 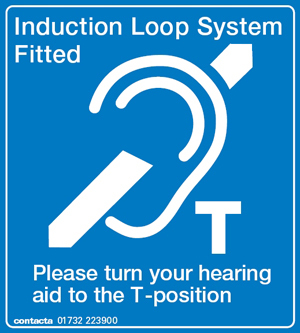 Hard of Hearing Loop System available in seats 5-10 on every row. Switch hearing aid to T mode. If you just wish to to view the current bookings select 0, and click next. Please do not start multiple bookings at the same time as this may cause errors with any, or all, bookings you complete. Scroll down and alter the number of seats you require. Adjust your seat selection – you can adjust seats up to 30 minutes before your arrive. Scroll down and click the ‘Cancel Booking’ button. Click the ‘Confirm’ button to move to the next screen - you can adjust table numbers upwards up to 3 hours before you are due to arrive and downwards up to 30 minutes before your arrive. Please don't close your browser without confirming or cancelling your reservation. Doing so might result in you losing your reservation. Adjust your seat selection – you can adjust seat numbers upwards up to 3 hours before you are due to arrive and downwards up to 30 minutes before your arrive. You will now receive an email confirming your cancellation. Thank you for taking the time and trouble to let us know you can't come. Your seat selection has been cancelled. You have selected a snoozle sofa, which seats two people. You may reserve a snoozle for one person if your booking is for an odd number of people. Snoozles are very close to the screen and are not suitable for people with neck conditions or vision problems. Your seat selection has created an unnecessary gap, please adjust. Would you like to eat with us before or after the film?